“September has, in one sense, been an unlucky month for Mexico. But there are few places on the planet besides Mexico where the bad luck of a severe earthquake and a hurricane might actually converge,” The Washington Post’s Philip Bump explains. Interstate 84, Oregon’s main east-west link, is closed indefinitely in stretches between Hood River and The Dalles due to the Eagle Creek Fire and unstable slopes produced by the fire. 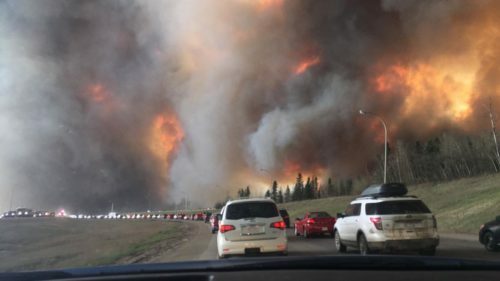 That’s hurting truckers like David Cassidy, whose livelihood is made possible by the availability of public infrastructure paid for by taxpayers. “It’s one thing to hear about the crumbling condition of Seaside’s high school, middle school and Gearhart Elementary School. It’s another to take a tour and see them firsthand,” writes The Daily Astorian’s RJ Marx, beginning a report on the appalling, abysmal conditions of the Oregon coastal city’s schools. The Seattle Times reports on Washington’s failure to seismically retrofit public schools and ensure schoolchildren in tsunami hazard zones have a way to get to higher ground. We can’t do any work right now… The phones work, but the computers don’t. And attorneys are pretty much helpless without their computers. — Barbara Serrano, a prosecutor with the Seattle City Attorney’s Office, describing the impact that a major, hour-long outage in downtown Seattle had on her workplace. City Light has since restored power by fixing broken equipment. The sad thing is, I can tell you absolutely that immediately following the next big earthquake, after these old buildings fall down, there will be legislation passed to address this issue… We shouldn’t have to wait for a lot of people to be killed or injured to motivate us to take action. 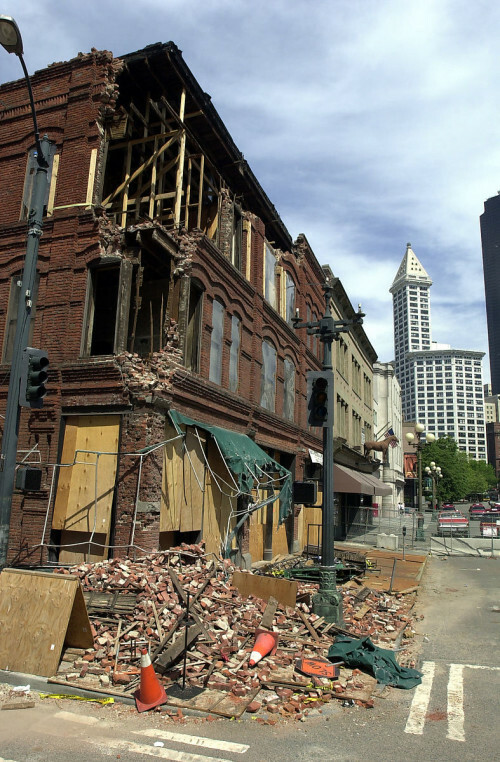 — Eric Holdeman, former director of King County’s Office of Emergency Management, calling for the city, state, and region to be proactive in retrofitting buildings before the next big quake hits (via The Seattle Times). Washington State Ferries wishes to apologize for the downsizing you experienced this evening, May 8, when the Tacoma went out of service on the Bainbridge route and we moved the Issaquah to provide needed service. We understand that it is Mother’s Day weekend, a very special time, and we will return to three boat service on this route as quickly as possible. If the Tacoma is not repaired, we will use the Evergreen State as the third boat on the Fauntleroy/Vashon/Southworth route so Mother’s Day plans can be kept. The Republican-dominated government of Oklahoma conceded today that science has conclusively demonstrated that the underground disposal of wastewater is resulting in earthquakes on a large scale. The Bush administration’s botched response to the costliest natural disaster in American history blew the president’s second term off course. He never recovered. Better to be remembered as the leader who occasionally cried wolf than pilloried for getting it hopelessly wrong.